If you’ve ever wondered why New Jersey is called the Garden State, S and R Farms will provide an answer. But at S and R Farms, the view includes acres and acres of peonies and sunflowers. 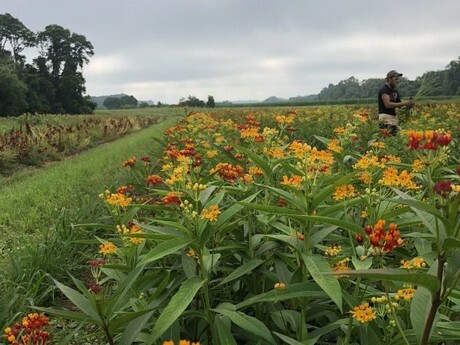 “You would never know that New York City is just around the corner from here,” said Nick Ricci, owner and head flower farmer at S and R Farms. That proximity to major East Coast population centers also translates to a whole lot of potential customers nearby. Its location makes marketing a low priority for S and R Farms. There’s no website and it has little presence on social media. But the demand for its flowers is strong. 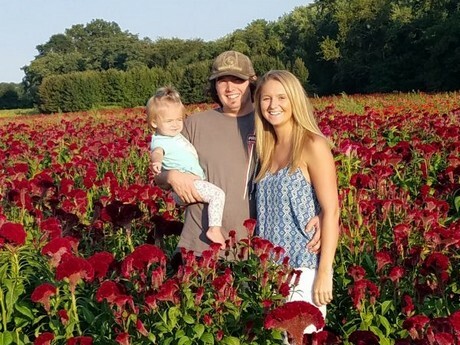 S and R is a family operation involving Ricci, his wife, stepfather and father-in-law, with help from a crew of seasonal workers. 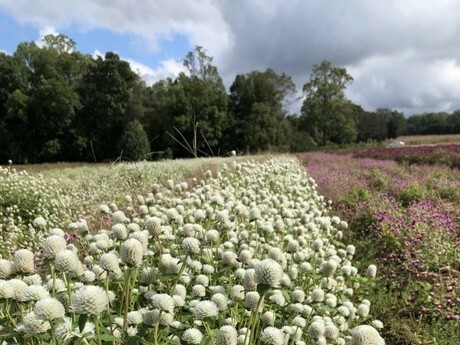 Together they raise about 50 varieties of flowers on 350 acres. 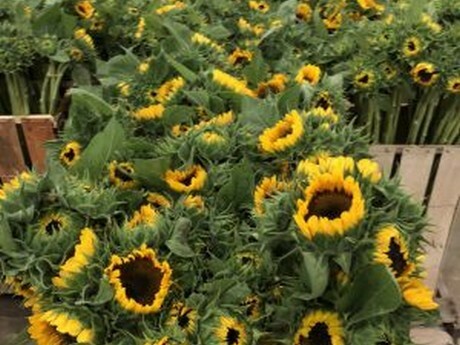 Sunflowers get the most space with about 60 acres followed by peonies on about 20 acres. There’s also coxcomb, dianthus, feverfew, marigolds and zinnias, to name a few. S and R Farms is all in the family. Nick runs the farm with his wife, step-father and father-in-law. S and R gets its flowers to market via a network of wholesalers and brokers that put together bouquets for supermarkets. It also relies on a group of independent sellers who supply flowers to small deli-type stores in New York City. S and R started with peonies and gradually added more varieties. “We’ve grown every year,” Ricci said. 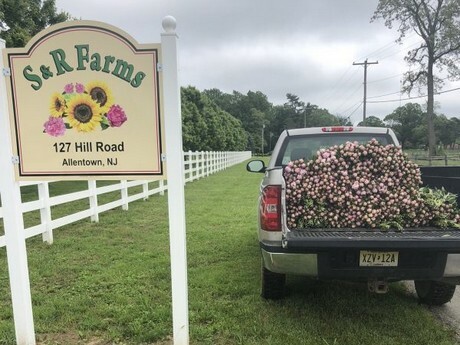 S and R Farms grows a variety of flowers on 350 acres just outside the major metropolitan areas of New York and Philadelphia.